Dear readers! 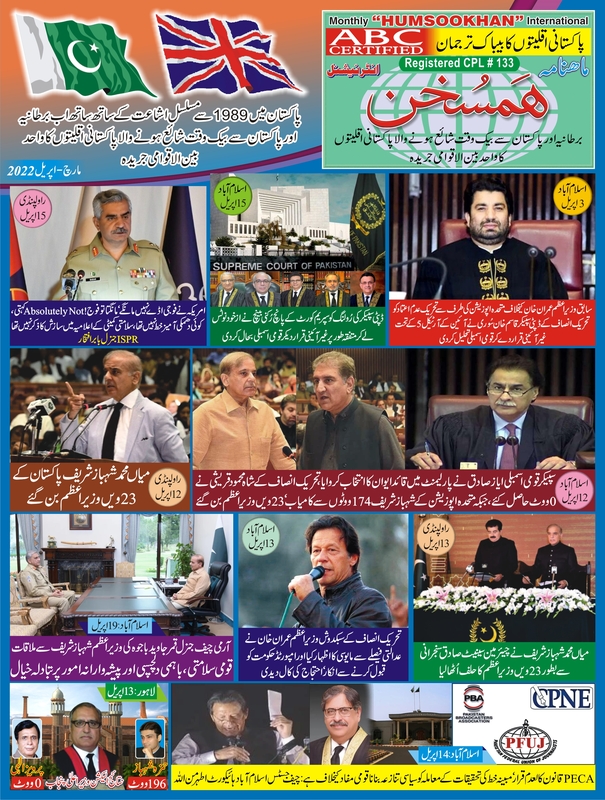 The Monthly “The Minorities’ View” (English) and Monthly “Humsookhan” (Urdu) are basically two Pakistan-based magazines. These two magazines are duly authenticated for publication since 1989 under the Government of Pakistan’s Press & Publication Ordinance, 1988. Since April 2004 we decided and undertook to launch both magazines in UK also (through our voluntary personal and individual self-stipulated monthly contributions and donations for this publication). Since the beginning of the International publication of these magazines the main object of these magazines was set to elicit the problems of voiceless religious minorities of Pakistan in Pakistan as well as to impart these informations, on charity basis, to our oversees Pakistani friends, brothers and sisters living all over the global village With this purpose in view we started the publication of these two magazines from Nottingham, United Kingdom and Lahore, Pakistan simultaneously. To pursue our goal we have undertaken to publish these two magazines having different languages in one single magazine for the convenience of our readers. Our Five Years regular publication has immensely attracted the large-scale Oversees Pakistanis belonging to scattered religious minorities all over the world. Therefore, on the occasion of our entering into successful Sixth Year International Publication in May, 2009, our Board of Directors has decided to expand its readership by launching these magazines on website with Archives from June 2009. We earnestly hope that our attempt would not only make the publication more expedient and easily accessible but also the availability of these two magazines on website may prove more effective for ready reference.